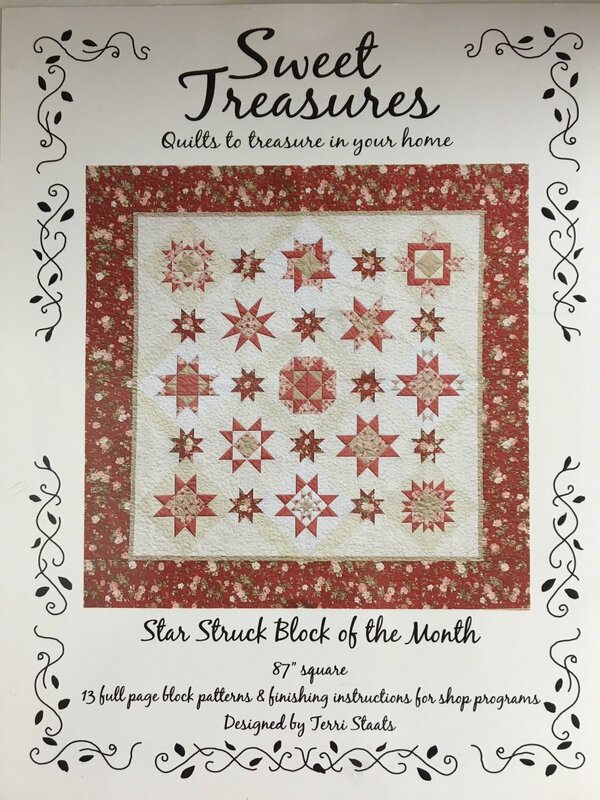 Star Struck is a 12-month Block of the Month series that begins on Wednesday, February 14. Coincidence that we're starting a red and cream colored quilt from the Farmhouse collection by Minick and Simpson for Moda on Valentine's Day?!! Maybe not! Your monthly $20.00 class fee includes the pattern and all fabric needed to construct this beautiful 87" square quilt. Pick up your kit from Sharon on the second Wednesday of each month and review with her the tips and techniques you'll need to complete the blocks in that quilt. 07/11/18 - No pickup, this will be rescheduled. 01/09/19 - 12th and Final Kit. Skill Details: Advanced Beginner and Up. Materials Included: Class fee includes the pattern and all fabric to construct the quilt top. Quilt backing needs to be purchased separately.